Fridge door gaskets are often overlooked when you are searching for the faults in your fridge parts. People usually tend to assume that there is not much of trouble that the humble rubber strips can do to cause malfunction to your fridge! However, eventually, the fridge door gaskets can turn out to be your enemy. Did you know that some effective cleaning and maintenance hacks are enough to keep the fridge door gasket to function properly without causing any trouble? 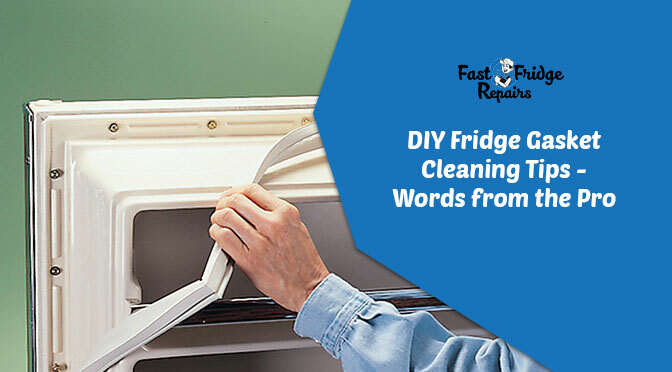 Find out the quickest remedies for maintaining the gaskets straight from the most trusted fridge mechanics who are associated with Fast Fridge Repairs for a long time now. Food spills are responsible for the maximum mess around the gasket. During opening and closing the refrigerator, food spills often get stuck on the door gasket and as it keeps on piling up on the gasket. This food spills eventually cause a problem while opening and closing the doors. Also, the sticky food spills lead to damage to the refrigerator seal. As you forcefully try to pull out the fridge door to against the stickiness, the gasket will come out. 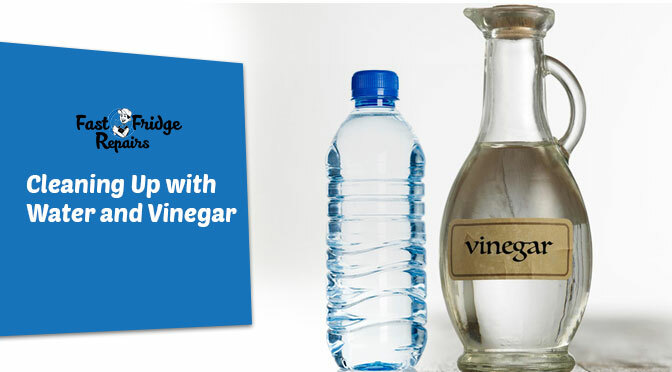 Mix up 1/2 cup of vinegar with one and a half cup of water. Take out your brush or sponge and make it wet. Dip it inside the solution and rub it on the gasket. It will loosen up the debris and dry food spills. With a fresh wipe, you will be able to clean up the food spills easily. Another reason for dirt on the fridge door gasket is MOISTURE! According to the specialists of commercial fridge repair in Sydney, the temperature and the moisture level inside and outside the fridge frequently gets changed. It is eventually a common cause of mould and mildew. If you don’t clean it up regularly, the mould will crack the gasket seal leading you to more trouble. How to Clean up Mould? You are sure to find some chemical-based cleaning agents in the market that are being used by many people to clean up the mould from the fridge gasket. However, those have cons more than pros. So, it is a wise decision to go for a homemade solution. We suggest you go for a mixture of bleach and water. Bleach is extremely effective when it comes to cleaning up the mould. You have to mix the bleach with the same amount of water in a container. i) Do wear gloves while cleaning for apparent reasons! ii) Bleach can dry out the gasket too soon and cause a crack. So, it is always a wise decision to clean up the bleach as quickly as possible. Using mineral oil or lemon oil can actually help to keep the door gasket moisturised and flexible. Using the oil in an interval of three to four months will help in extending the lifespan of the gasket. No worries if you don’t have the oil. Using body lotion will work in the same way. Contact us for the quick fix of fridge door gasket. We can repair and replace the gasket according to your need and make your fridge start functioning again. Previous Post: Which is Going to be the Best for you- ‘Fridge Repair’ or a ‘Replacement’?